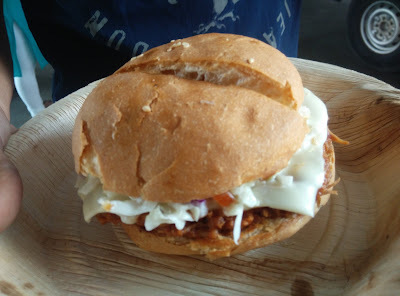 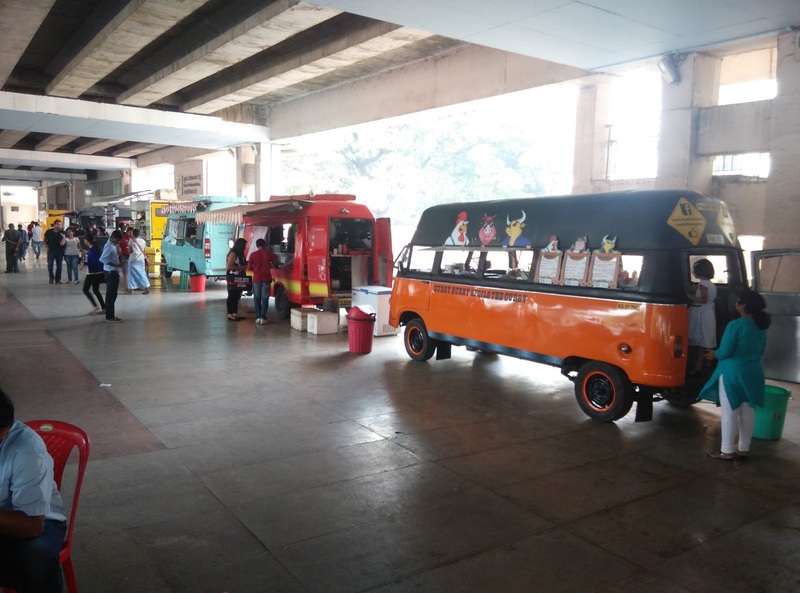 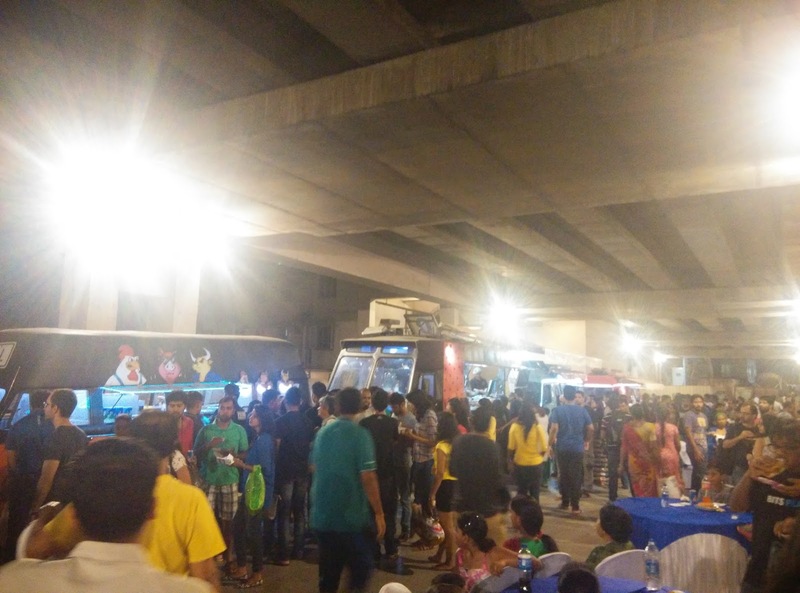 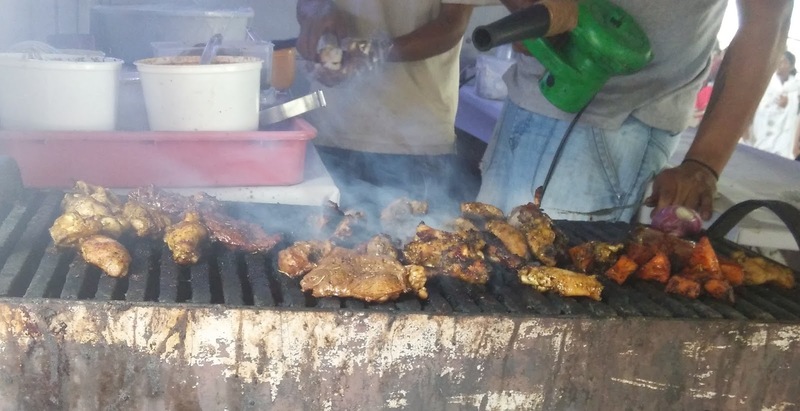 The Vivekananda metro station hosted the experimental food truck festival. This was on every weekend in the month of March. There was a new set of food trucks every weekend which made every visit unique. 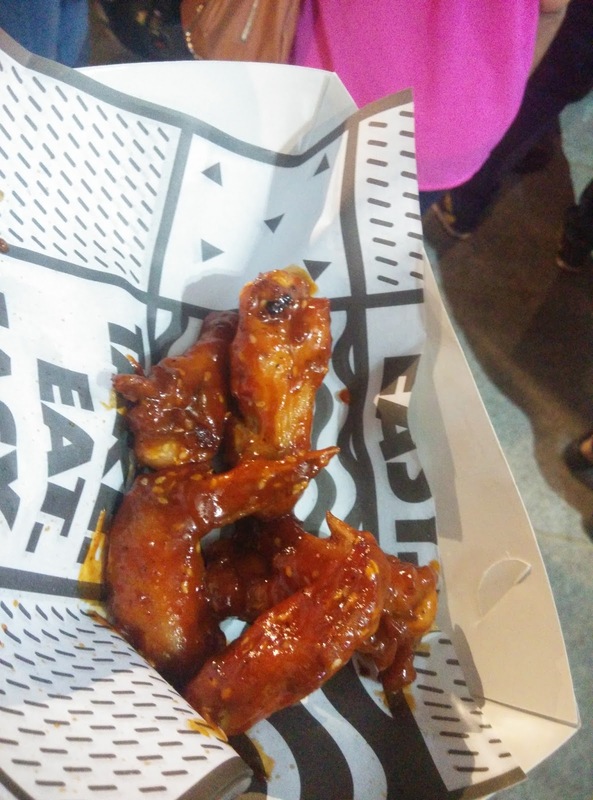 Though I could not try all of them, I am going to blog about what I managed to try during my visits. 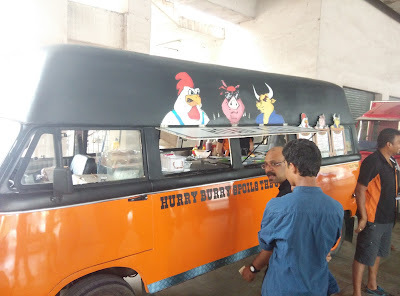 This was the first food truck I visited. 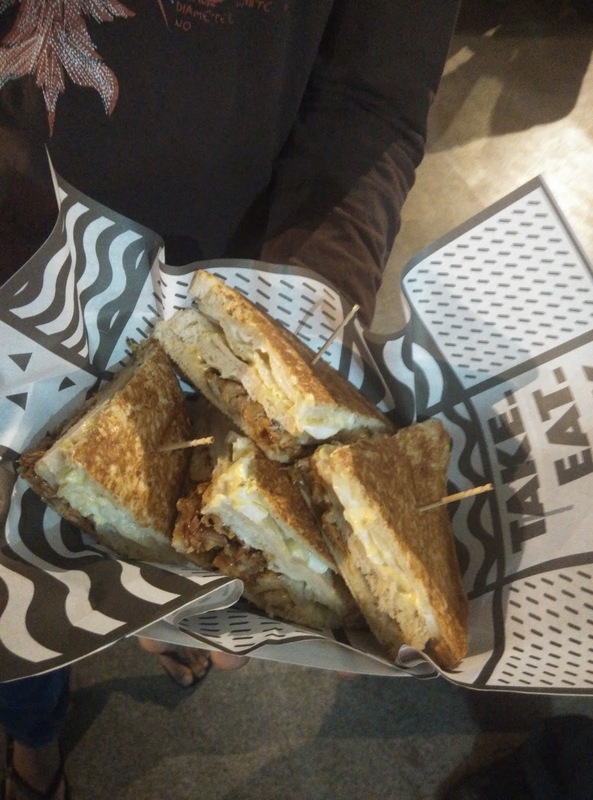 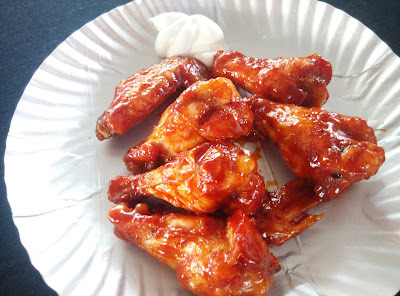 I tried out their chicken wings and sandwiches. 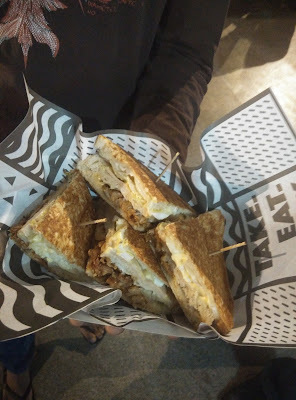 Remember the episode of two and half men where Jake tells his friend that they should start an outlet where they can sell all sorts of food on a stick, well this truck exactly that. Their popular snack was the torpedo but when I went to their stall, they told there would be an hour delay. 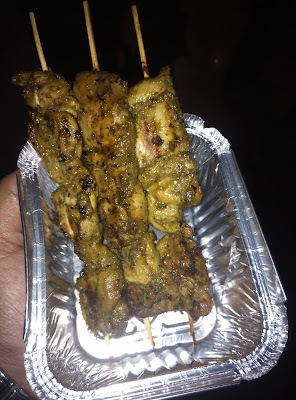 I settled for chicken instead. 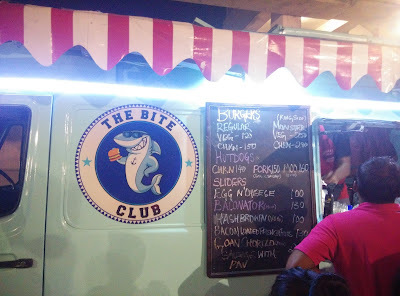 I visited this for the Hot Dog and I must agree it was amazing. They did had burgers and fries too but considering the constraint on how much my stomach can hold and the other options I decided to skip the rest of the menu. 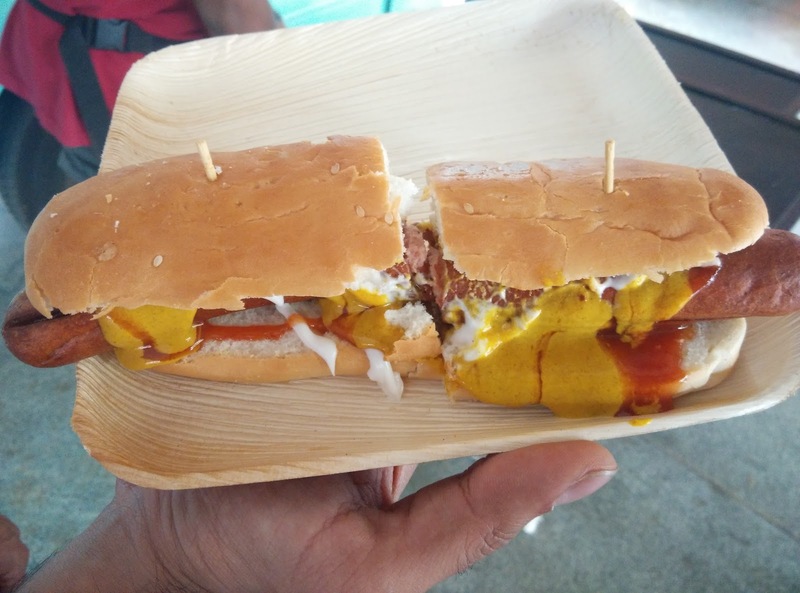 They say their specialty is their non veg subs and their bun with kheema but when I visited them I had enough bun for the day. So I decided on the chicken wings. 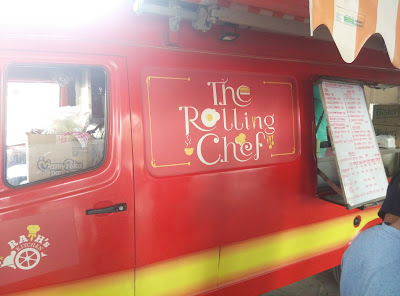 This food truck serves the specialty rice and noodles. While most of their menu seemed like the menu at any Chinese restaurant one dish caught my eye. 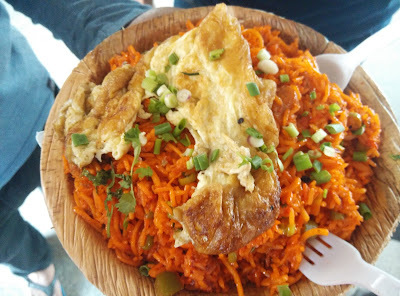 The rice and noodles combo cooked with chicken chunks and schezwan sauce and topped with a half/double fried omelette. Most of my friends recommended me to visit the Gypsy Kitchen. 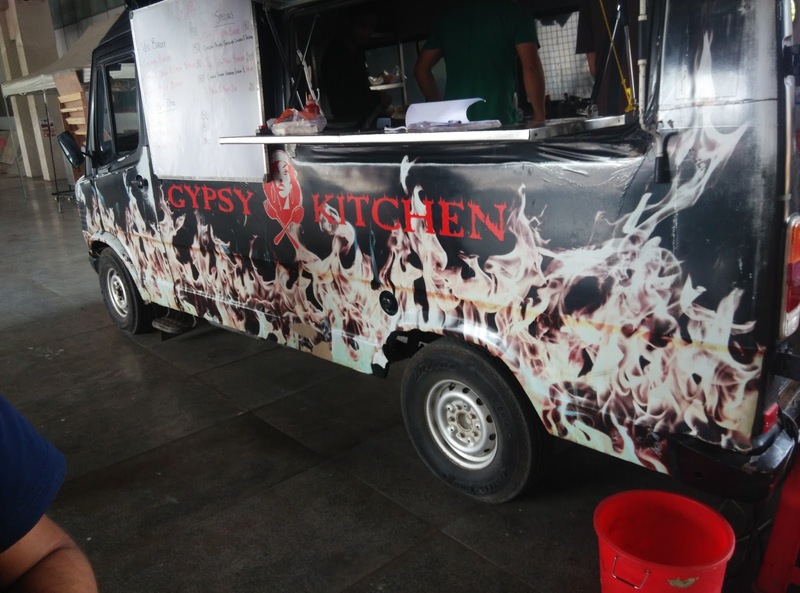 Ordered their Chicken burger and the gypsy burger. 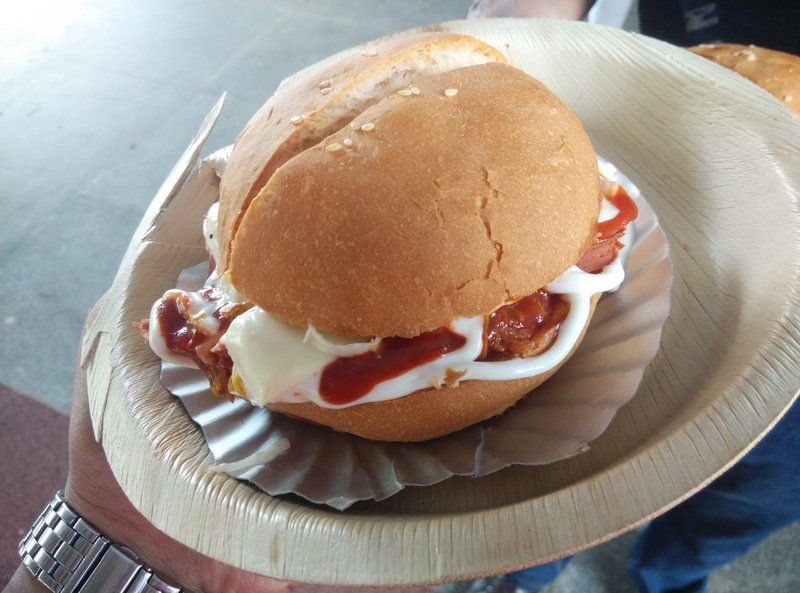 Lots of cheese and just rightly cooked chicken makes it a perfect mouth watering burger.